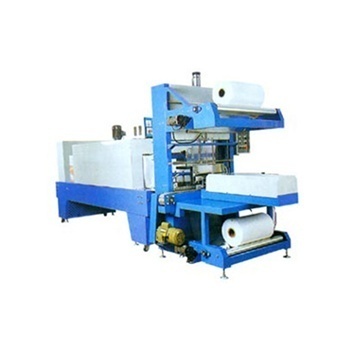 Shrink Wrapping Tunnel machine is used for shrink wrapping your products with pvc / ldpe shrinkable film. Put the products in the bag manually and convey in shrink tunnel for packaging. This is the most popular & economical combination with a wide range of applications. With this machine it is possible to adjust the size and do any type of wrapping. It is mounted on castor wheels to move it easily any where in your plant. It is easy to use & does not require any skill. This machine is tailor made to suit your requirements. It can be designed & manufactured to meet your specific application. Super Engineers is one of the prominent manufacturing, exporting and traders providers especially designed and fabricated by our professionals in accurate dimensions and with perfect finishing. Our range of products includes Industrial Packaging Machines, Filling Machines, Filler Machines, Wrapping Machines, Liquid Filler Machines (Piston Pump), Filler Regular, Forming Machines, and Sealing Machines etc. These machines are fabricated using optimum quality raw material, which are acclaimed for their high effectiveness, corrosion resistance, durability and high tensile strength. We have created a strong hold in the market for its varied range of products. We also captured market for our products in various places like Canada, Middle East, UK, Africa and Indian Subcontinent.